For highly efficient and dependable coil manufacturing, choose Sulzer. Our preproduction support includes computer-aided design and a database of coil winding information. We check existing designs, redesign to improve performance, and create production drawings and process instruction sheets automatically. Our in-house, highly sophisticated copper rolling mill offers both inline and pot annealing facilities. 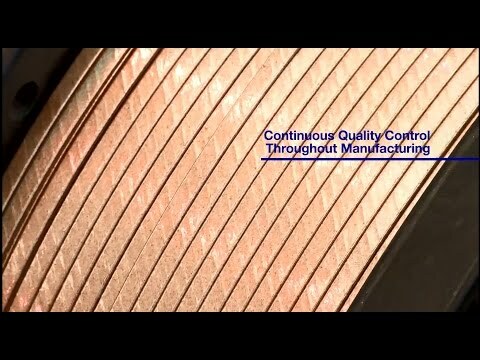 Therefore we offer around-the-clock coil manufacturing capabilities with short lead times on copper strip. You benefit from our large stocks of continuously-cast soft copper rod, which ensures that we meet your demands quickly. Formed coils are produced on automatic shaping machines which guarantee consistent geometry and coil fit. Computer-controlled taping machines provide perfect lapping and consistent tension, giving built-in security of coil insulation. A range of electrically-heated hydraulic presses up to 24 feet (7 meters) ensures highly accurate size and consistent control of pressed coil sides—with a perfect slot fit.